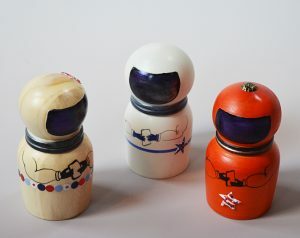 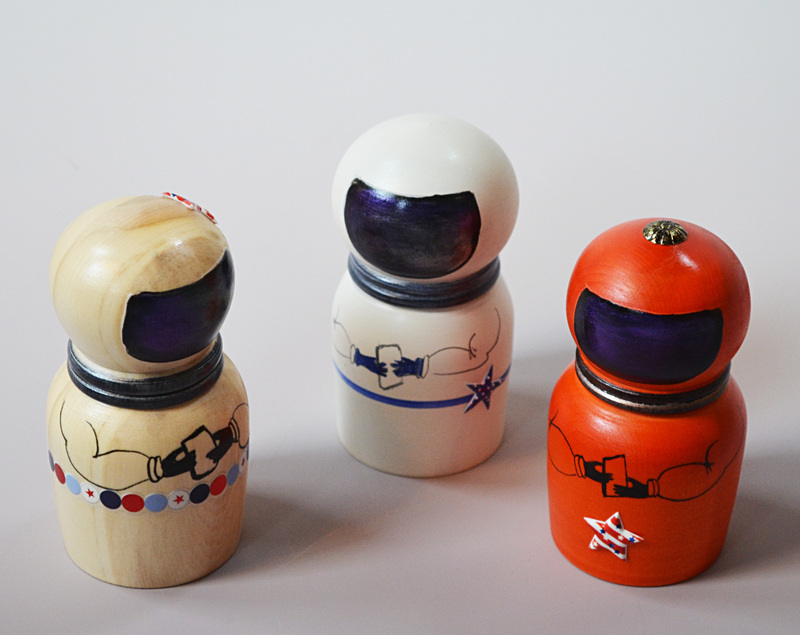 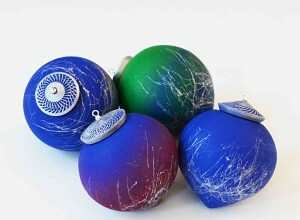 Children of all ages enjoyed my space suit salt shakers, as well as samples of NASA’s slime recipe. 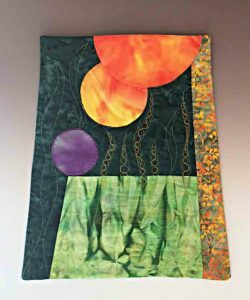 St. Peter’s is a merciful one-day craft show with faithful attendance, and many vendors selling knitting, crochet, felt, quilts, and homemade jams. A great part of a home-town craft fair is the opportunity to meet all the crazy needlewomen in our midst. 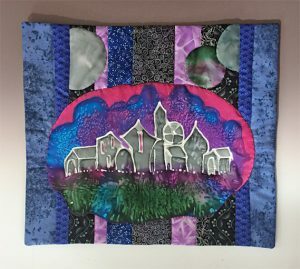 They don’t buy my stuff, but they really like to see it, and ask about the techniques. After all, art is just something that we make. 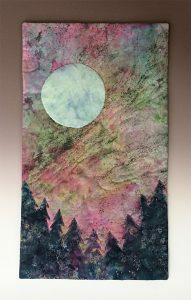 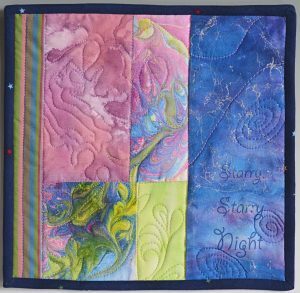 I enjoyed showing my ‘interstellar’ series of quilts, which I developed while my granddaughter, Helen, took an astronomy class. The Hubble telescope photos were a great inspiration for work in silk! 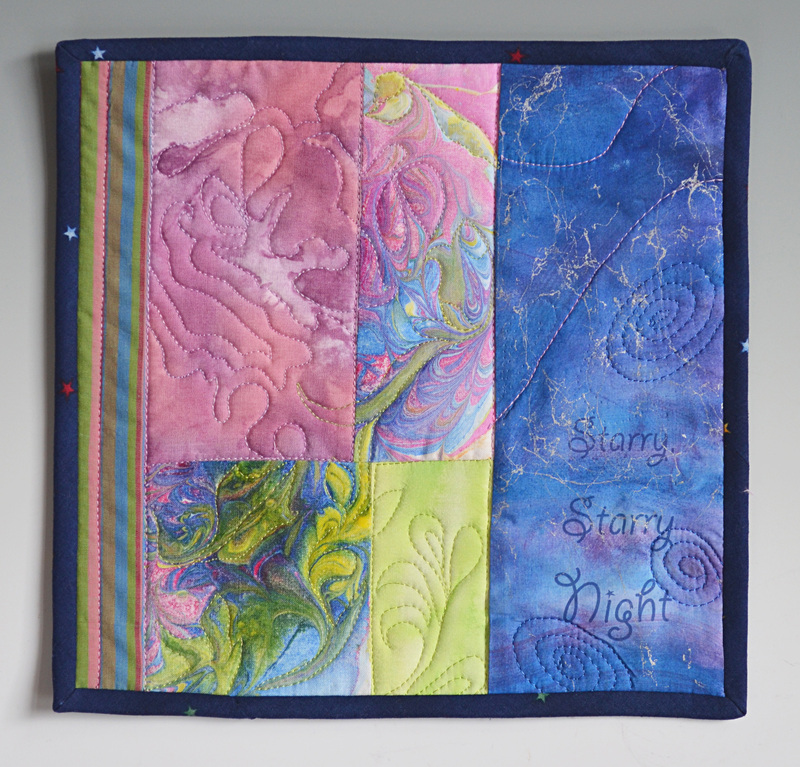 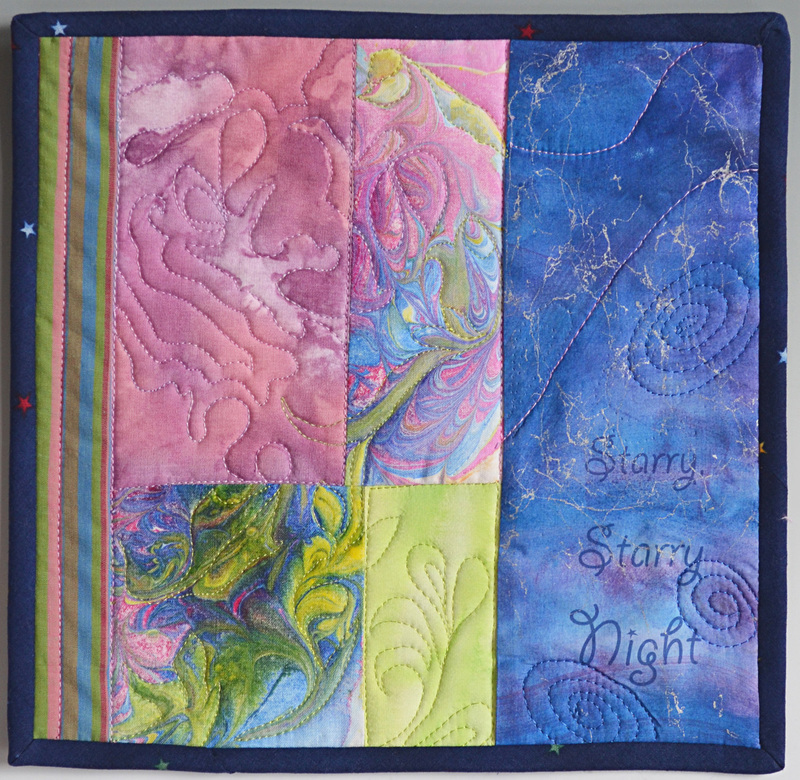 This small quilt (11.5″ square) tries to capture some of the wonder of our colorful universe.